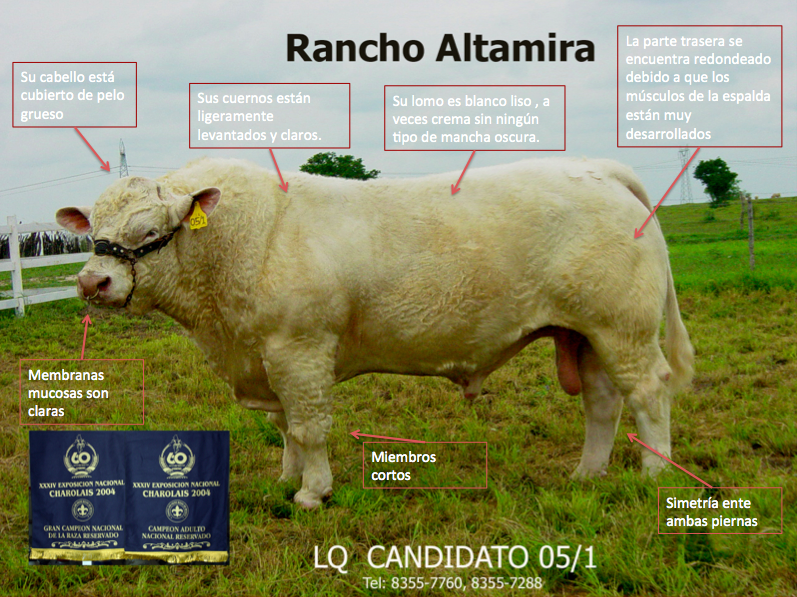 The Rancho Altamira always seeks the best genetic quality of the Charolais breed, which accurately describe the common visible features of the same racial population. - A white uniform skin color, in some cases without cream spots. – A horn pink color. 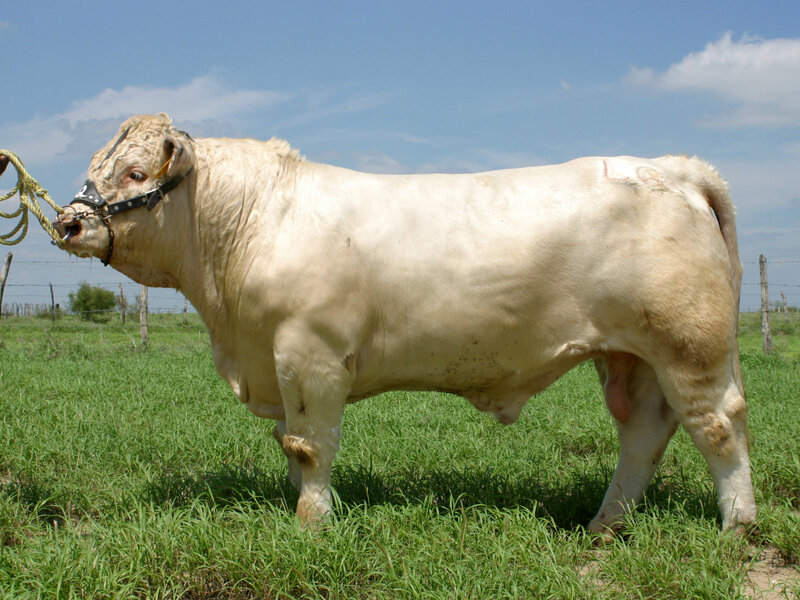 – A relatively small white head, broad forehead, the more or less flat profile, round, elongated horns, medium, thin ears and hair cropped short, large and protruding eyes, high cheeks and broad muzzle. – A short neck, double chin lightly loaded. – A deep chest, round part of the shoulder. – A thick horizontal and muscular back, hips a little soft and a wide tail. – Thick leather middle, but very flexible.